Greg “Craola” Simkins Stabby made its first appearance in 2013 and fast toward to Dcon 2018 where the original STABBY vinyl figure made its debut Fans of STABBY have been left wondering when it’s going to be their turn to get hold of the vinyl figure. 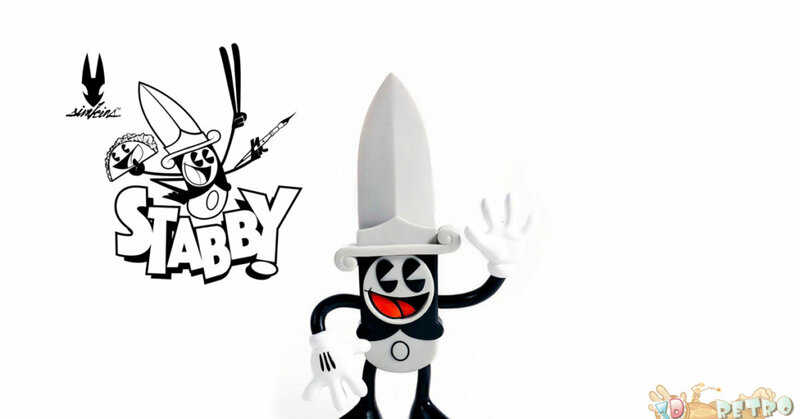 Congrats to 3DRetro translating from a Craola comic strip style to a 3D vinyl figure of STABBY. Icing on the cake was yesterday Craola & 3D Retro announced the online and store release of STABBY! he will be available in limited quantities in store and online at Noon PST 20th February 2019 at https://www.3dretro.com/ priced at $50 each. Find STABBY on his own Instagram HERE. Check out Craola and his incredible art on Instagram HERE. Also, give some love to 3DRetro on Instagram HERE.